The 9mm was invented in Germany in 1902 by Georg Luger and has now become one of the most popular rounds in the world. Recently declared by the FBI to be the best round for self defense, the 9mm makes a fantastic range training, plinking, and self defense round, perfect for all your handgun needs. 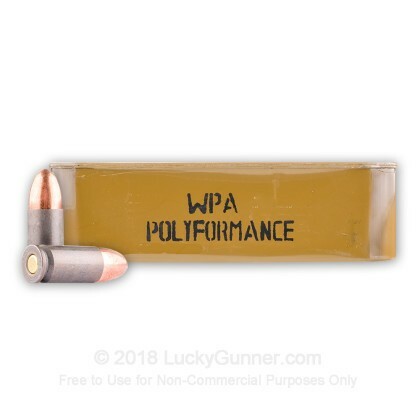 Wolf PolyFormance ammo is a great option for the volume shooter. Non-corrosive, accurate, reliable, and durable, Wolf sets itself apart from their Russian brothers. Their PolyFormance line features reliable berdan primers that work in extreme conditions, smooth cycling from their polymer coated steel casings, and an inexpensive price tag, perfect for all your range training needs. Each round is loaded with a 115 grain full metal jacket projectile that averages over 1,200 feet per second at the muzzle. 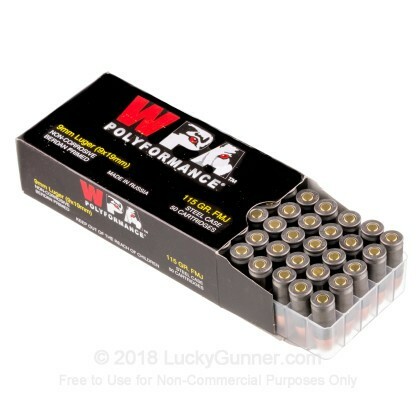 Go conquer the range with these Wolf PolyFormance 9mm rounds, that come sealed in a spam can for safe transport or long term storage if you are planning to hang onto this ammo for a while. 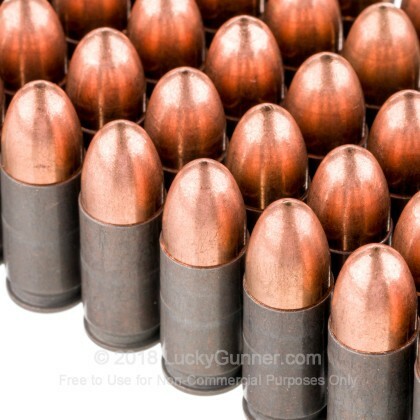 Pick up an 800 rounds spam can today and get out to the range soon! 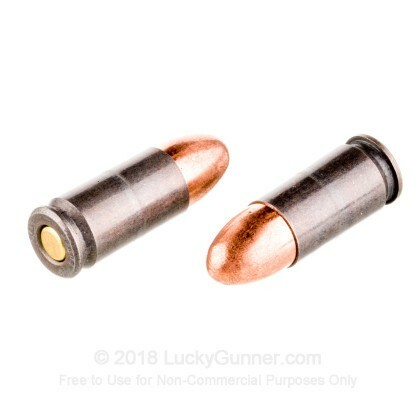 We don't have any reviews yet for this particular 9mm Luger (9x19) ammo from Wolf. 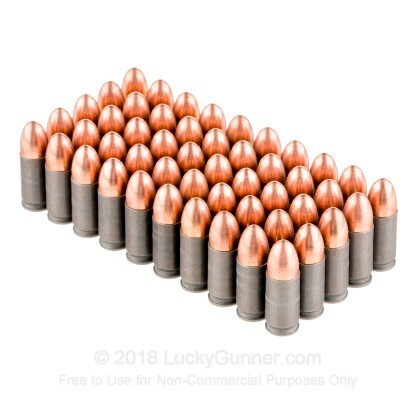 If you'd like to be the first to review this particular 9mm Luger (9x19) ammo from Wolf, fill out the form below.